We’d love your help. 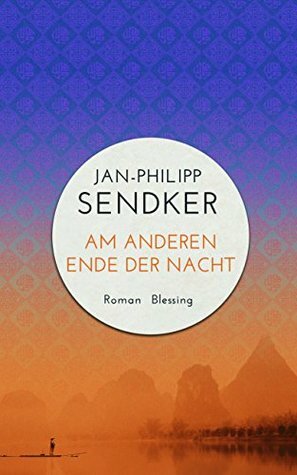 Let us know what’s wrong with this preview of Am anderen Ende der Nacht by Jan-Philipp Sendker. To ask other readers questions about Am anderen Ende der Nacht, please sign up. Oops, zu spät bemerkt, dass es zu einer Trilogie gehört. "It was always about guilt and punishment, not about justice"
Paul is moseying about in a panda park with his small son David, when he is approached by a group of extremely well attired locals who want their photo taken with his lovely-looking young son. Their demands for the photo opportunity feel rather menacing, as David is wrested from his father's arms. After what feels like a thoroughly scary stand-off, Paul grapples him back and they make their escape. Shortly thereafter Paul pops to the loo, leaving four year old David parked outside in his buggy. Upon his return he finds David has disappeared. The mounting panic as Paul searches for his son is poignantly and grippingly portrayed, heightened by the disinterest shown by the local police officers in his disappearance. By the time mum Christine arrives on the scene to help look for David, he is suddenly returned to his parents by a god-fearing couple who cannot countenance the dastardly plan of kidnap formulated by their boss. Paul enlists the help of his friend Zhang - former police officer (rather useful experience) and now Buddhist monk. Paul is alarmed to discover that in all likelihood one of the local mobsters (Chen, Xi or Wu - it turns out to be the Chen clan and their motley crew), who holds sway throughout the country and Chen will no doubt will hunt their trophy child down to give the little boy to his son's girlfriend (she expressed a desire to have him at the panda park, apparently). The little family must escape and they start to zig zag their way across 2000 kms from fictional Shi to Beijing and to the American Embassy, where the influence of the gangsters ceases. They must run for their lives. First pit stop and safe house is with grandfather Luo and his grandson Da Lin, in the middle of nowhere. A western family in the countryside is bound to provoke suspicion and inevitably they are soon outed. Murder and mayhem ensue as the family members do all the things they are advised not to do, like wandering off on a whim. The family acquires a new travelling companion which of course complicates matters. They also all seem to spend a lot of time hunkering down and going to sleep, which seems extraordinary given the circumstances. In general the characters' responses to trauma often seem a little off-key. The author paints quite a dystopian view of modern China, with a traumatised populace and huge poverty set against huge wealth. 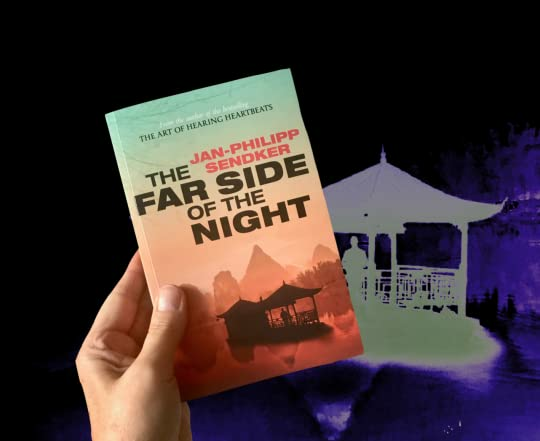 In terms of TripFiction this thriller has a lurid and colourful setting, as the characters traverse mainland China and Hong Kong. Der Autor hat ein wunderschönes, berührendes und tief gehendes Buch geschaffen, das zum Nachdenken anregt. Über uns und die Gesellschaft. Über das ganze miteinander das wohl viel zu oft seine Grenze an zu viel Macht und Geld findet. Für Sendkers Verhältnisse ist die Geschichte erstaunlich blutleer. Die Ausgangslage - mächtiger chinesischer Parteifunktionär will mit allen Mitteln süsses Kind klauen - wirkt etwas weit hergeholt, die anschliessende Flucht als einizige Story des Buches etwas dünn. Am besten gefallen haben mir noch der Teil "Das Dorf" und die Kapitel aus der Sicht von Da Lin. Recommends it for: da leggere, attenzione è un "page-turner"
Un inizio tranquillo, placido, vira rapidamente in tragedia, e in un incubo che non si risolverà, con non poche sofferenze, fino alla fine del libro. Può essere letto come un giallo, non particolarmente sofisticato, ma la cosa più interessante sono i punti di vista dei vari protagonisti. L'autore riesce molto bene a rendere un senso opprimente di minaccia incombente, di claustrofobia, attraverso il punto di vista dei tre personaggi principali: il protagonista, la moglie e l'ami Una bella sorpresa. Può essere letto come un giallo, non particolarmente sofisticato, ma la cosa più interessante sono i punti di vista dei vari protagonisti. L'autore riesce molto bene a rendere un senso opprimente di minaccia incombente, di claustrofobia, attraverso il punto di vista dei tre personaggi principali: il protagonista, la moglie e l'amico di lui, monaco buddista, ex poliziotto, più alcuni comprimari. Si apprezza senza dubbio di più dopo un viaggio in Cina, la descrizione di vari ambienti, situazioni, dialoghi ecc. sarà molto più viva. I really wanted to enjoy this book but I’ve got to be honest. After a strong start by page 100 I was completely bored. Total disclaimer, I didn’t finish the book. The characters are good and the plot line is solid too, but, I feel disappointed that I never really felt I was in China. I could easily have been in any other city in the world visiting a zoo.... major disappointment. Die ganze Trilogie war mir zu simpel, zu platt. Und Teil 3 setzt dem Ganzen die Krone auf. Ich habs trotzdem ausgelesen, sowie auch die beiden ersten Teile, weil China. Und ein bisschen spannend Jehmineh. Ein brutales Buch über China uns seine Machtstrukturen. Man möchte dort nicht leben und allem ausgeliefert sein. Einem jungen Paar wird der kleine Sohn entführt, weil einer Freundin eines Machtinhabers der kleine Junge gefällt und ihn als Geschenk haben will. Eine abenteuerliche Flucht beginnt.